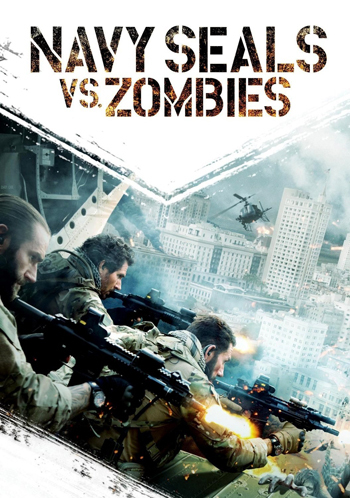 One action zombie flick and one sophisticated zombie film – and they have nothing going for them but the zombies. So many men, so little fun. 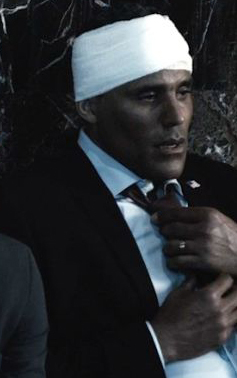 Basketball player Rick Fox (foxy Fox) plays the Vice President of American, holding a press conference. It is blatantly obvious that he was directed to act and behave exactly like President Obama. Suddenly, infected folk start attacking people. Call in the Navy SEALs to go rescue the VP. Navy sausage party is more like it! This is one studly group of bearded bears, led by horror hottie Ed Quinn (House of the Dead II, The Caller, The Last Light, Werewolf: The Beast Among Us), and including wrestler Gunner. This is also one seriously white sausage party. There seriously isn’t a single bear of color in this group. But I guess it’s okay, because the VP is black? My first disappointment (second if you add the lack of black bears) came when 80s American Ninja hottie Michael Dudikoff (Radioactive Dreams) is denied the comeback action role I was hoping for. 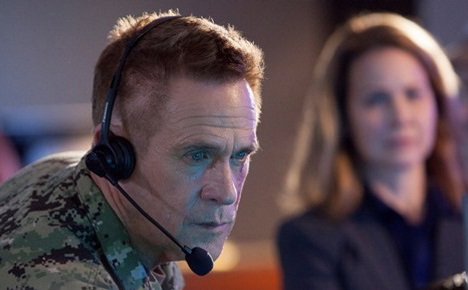 He’s simply stationed at a base, barking orders over the communication system. Blah. Now for my next disappointment. 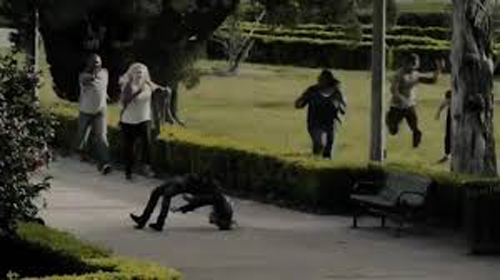 There’s this initial zombie attack scene in which one of the zombies is on the ground on its back, and suddenly arches itself into the spider walk position then simply inclines itself back into a standing position! So much focus is put on this scene that I was sure it was going to be a special ability of all the zombies, but nothing like it ever happens again. Instead, we pretty much get a generic zombie video game. The SEALs have to find the VP. The SEALs have to get the VP to a helicopter. The SEALS have to go look for survivors when the helicopter crashes. The SEALS are ordered to go get a flesh sample for scientists. The entire “plot” is a series of missions – complete one mission then get assigned another. Further giving this an action video game feel is the soundtrack – all the fight scenes are set to guitar driven music. And look at that poster above. It’s like the artwork on a fricking Wii game. 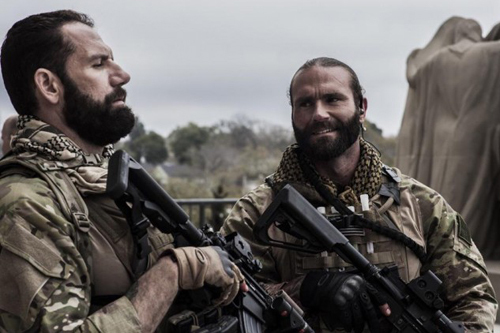 Once again, a zombie film tries to rise above old school zombie movie clichés…by giving us every cliché of the character driven, “it’s about humanity” zombie dramas of today. This story has been told over and over. Not to mention, The Walking Dead has been drawing each of these zombie drama clichés out over multiple episodes and seasons for this entire decade. Woman finds out she’s pregnant, calls her husband, and he says not to leave their home or let anyone in—just as her little daughter is answering a bang on the door. A while later, woman takes the sight of her devoured daughter pretty damn well. She runs out of the house and a man driving by in a car picks her up. Forget about backstory or plot development. We see some chick held captive and being abused. We see three baddies in the woods having a ten-minute conversation that tells us nothing other than the fact that they are quite mean. We see a car full of people, and we barely realize that two of them are the man and woman from the intro scene because her hair is now down and long and he has a beard. 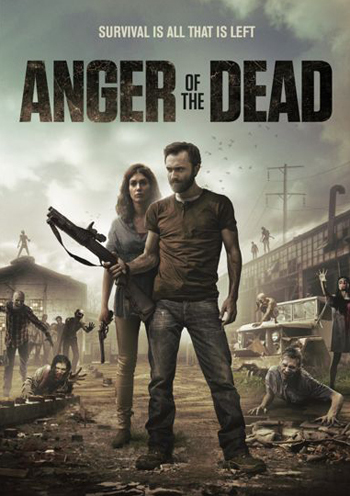 The movie just jumps back and forth between these characters, exploring their feelings and letting us know the emotional toll a zombie apocalypse takes on your life. Talk, talk, talk, talk, talk. Once in a while, there’s a freakish zombie. Eventually, the characters’ paths all cross and it’s the baddies vs. the goodies with an occasional zombie tripping them up. Brace yourself for this shocker – humans are actually worse monsters than zombies. Gasp. Oh. And in an effort to throw a few more zombies into the film, the main girl has a couple of scary dreams. 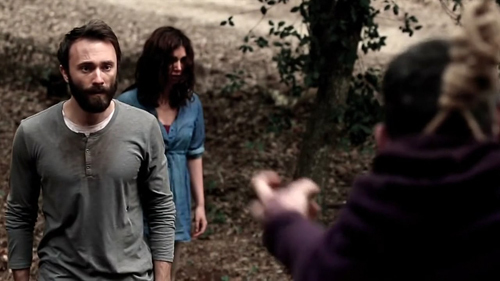 Not to take away from some of the good performances in the film, but it would be great if someone just edited out all the talking and gave us a five-minute short of cool zombies. I’m just so sick of all the zom-dram. This entry was posted in Movie Times & Television Schedules - Staying Entertained, The Evil of the Thriller - Everything Horror and tagged Anger of the Dead, living dead, Navy Seals vs. Zombies, undead, Zombies. Bookmark the permalink.